Outdoor Waterproof Solar Motion LED Light Just $13.44! Down From $66! You are here: Home / Great Deals / Amazon Deals / Outdoor Waterproof Solar Motion LED Light Just $13.44! Down From $66! 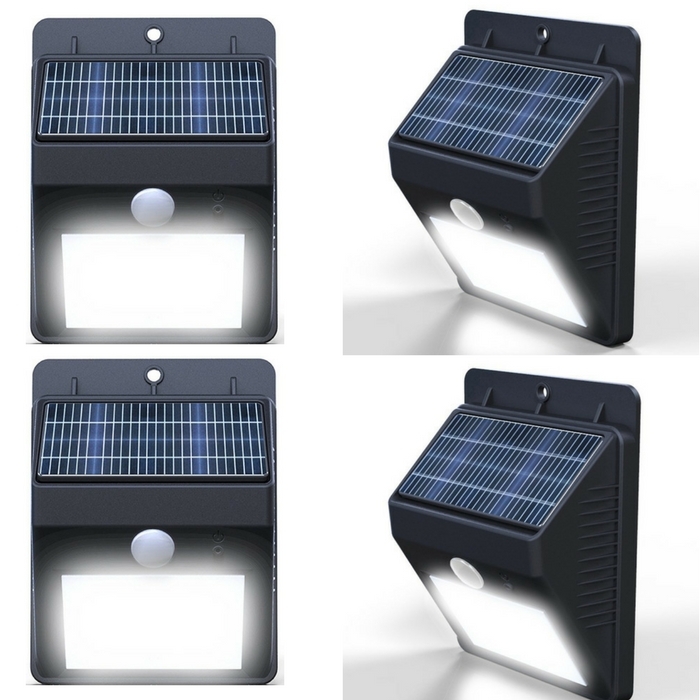 Grab this amazing solar lights at Amazon! Vont Outdoor Waterproof Solar Motion LED Light is now on sale for just $13.44 down from $66! Get FREE with Amazon Prime or for orders over $35! Hurry and get it before it’s gone! INSTALLS EASILY IN SECONDS – You can install your new solar light onto any surface. (wood, bricks, stucco, metal, siding, glass etc.) Hinge and screws are provided at no cost. COMPLETELY WIRELESS – No wiring or tools are necessary. This light is solar powered by durable high battery life solar panels. ULTRA BRIGHTS LEDs – Bright enough to light up an entire garden and turn the night into day. The illumination can go up to 80 lumens. HEAT & WATER RESISTANT – Can withstand all types of weather. Built with durable military-grade materials. FULLY AUTOMATIC – Turns on automatically at night, and turns off at sunrise. The PIR motion sensor activates when movement is detected within 5m/15ft.